Armed provocations on the part of Russian-terrorist troops in Donbas continue to be recorded, and their number has increased in recent days. Provocations recorded were mostly point-blank fire from small arms (including large-caliber machine guns) and AGS-17, 21, sometimes ZU-23-2 or 82-mm mortars (most often as a cover for infiltration/exfiltration of sabotage and reconnaissance groups). During the past 24 hours, militant armed provocations were recorded in the area of Pavlopil (north of the settlement), Hnutove, and Sakhanka. 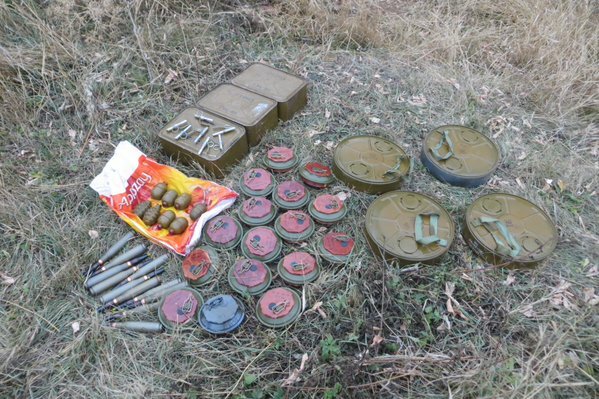 In the area of Zaichenko, the use of 82-mm mortar rounds was noted. In the area of Pisky, Avdiivka, Opytne, DAP [Donetsk International Airport], terrorists continue to open fire from small arms and AGS-17 type mounted grenade launchers. The use of small arms was also recorded south of Shumy, and behind militant lines south of Holmivskyi (Near Lozove). Between Popasna and Katerynivka, near Novotoshkivske [Luhansk oblast], the activity of militant infantry groups was observed within direct visibility. According to preliminary data, the terrorists are actively laying minefields. At several sections of the front line, militant observer groups are still recorded. In addition, “scouts” have been designated in almost every formation of the Russian-terrorist troops. They regularly cross the demarcation line in the guise of civilians, with the mission to study the ATO forces’ locations. The “DNR Ministry of State Security [MSS]” is carrying out large-scale investigation to identify the persons involved in the leak of lists of members of “Myr Luhanshchyne” NGO headed by Ihor Plotnitsky [Peace for Luhansk Land political party] to the Ukrainian law enforcement agencies. At the same time, two “Ukrainian spies” were arrested in Donetsk; these are staff members of the “DNR MSS,” charged with selling the database of the “DNR security agencies” to the Ukrainian special services.